This is where I store my stuff in Fullerton. Fantastic service , Great prices, Ask the manager Stella for discount, She has a good way to introduce the rental options. The facility is extremely well kept and clean. Ann, the manager is great. She returns all phone calls and keeps in contact with her customers. The staff is very friendly and willing to accommodate all your needs. I highly recommend this facility for personal and or business storage. 4.5 STARS!! This place has a lot of security cameras, and climate controlled storage units. Eddie and Stephanie are such great people!! Thank your for the excellent assistance!! They were super friendly and knowledgeable, I would not go anywhere else but here!! Definitely going to recommend this place to all my friends and family!! Thanks Stephanie and Eddie you guys are awesome!! Storage is very secure. Top of that it's so clean. Great storage facility, the managers here are absolutely the best. I recently had fraud on my debit card and forget to change out my information. I got a phone call as a quick reminder that I needed to adjust my payment method. Loraine was super helpful in processing my payment and getting my account current. Thanks guys, keep doing a great job! We recently downsized our storage unit we had in irvine and decided to move to a closer location to our home. 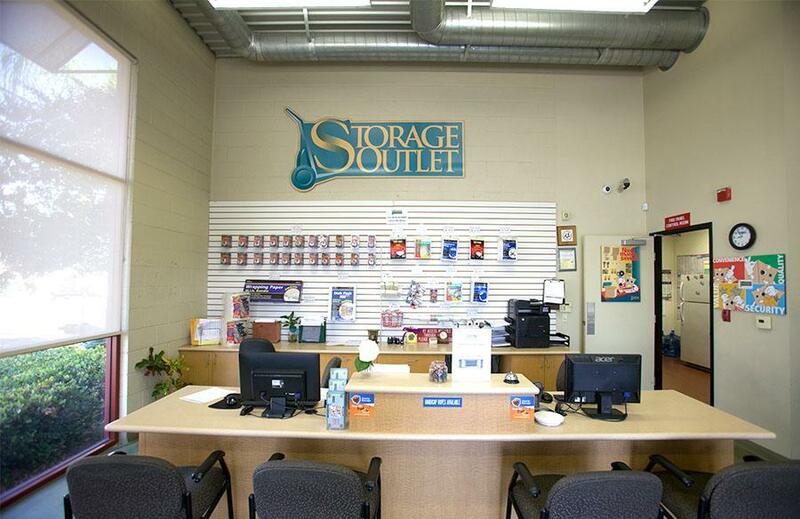 We chose storage outlet in Fullerton. We couldnt be more satisfied with out setup and our unit. We needed a unit with climate control, clean, upstairs and dollies available. We got it all for almost half the price we were paying before. Javon greeted us with a smile and his personality was polite and he has a great sense of humor. Thank you and we would recommend storage outlet to anyone. I called and spoke with Javon who was polite, professional and delighted to make an appointment for me to see the units. Once I made up my mind, the process did not take long. The office is air conditioned and courtesy coffee, tea and water are also offered. The prices are competitive and the storage is conveniently located near the freeway and major streets. Clean lots and surveillance cameras are a plus as well. I have happily rented a storage unit from Storage Outlet in Fullerton for 5 years (since 2013). The staff are friendly and accommodating. I highly recommend this place! The property is kept up very well, My unit is in very good working order. The staff are helpful and understanding. Storage Outlet of Fullerton has decent pricing, is clean, offers good gate hours (5 am to 9 pm) and has a friendly staff. I recommend this place to anyone who needs extra space for storage. Office staff is amazing. Very helpful. And, love the new hours. Well managed. Metal walls. Wide streets. Not ran like a homeless shelter (beware of Public Storage brand storage facilities for just that reason). Storage Outlet is highly recommended in my opinion. 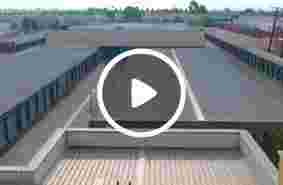 Very clean and well maintained area. The costumer service here is excellent. The property manager Paul gave me a tour of the establishment and explained everything from prices to storage hours. I definitely recommend this location! Paul was fantastic to work with, I highly recommend this place. Very clean facility. Got a washer and dry that had been stored for 5 years. Not looked brand new not a spider we or any other indications of hVing been stored so may years. I would highly recommend this place to anyone. My family member got a unit here every thing is true. The price, the place, it is clean the hours are great. So today i will be getting a unit of my own. Can not wait for it to open. DON'T RENT HERE!!! I got charged $60 more because I could not move before thet office closed 7/10/16 at 1:30 PM. I needed the entire day and was paying the prorated amount for the 10th. Ann (The Manager) charged me for the entire month when I only needed 6 hours and she could have given me a temp code for the gate. Terrible Manager! My boyfriend and I spend 650 $ a month here on 2 lockers.. jfor past about 8 just recently we started to downsize them the manager comes and tells us with a nasty attitude we have to clean up when we r done. Well we do sweep and pick up trash that's not ours as well. She accused us of her picking up crusty underwear from our locker. Omg, as if. Today she comes back and is again complaining about something. When I asked her what her problem is with me , she says she's taking to $&_-#+&, my boyfriend, she accused me of lying , which we can prove our claim. This woman is rude, unprofessional, and we r changing storage faciitues. But not before I find the owners and make a formal coolaint want a recommendation,bgo somewhere else. Fullerton was a small agricultural area, known for their Valencia oranges and other citruses, until the mid-1900s when the population began to boom and the economy transitioned to manufacturing. Fender guitar and Hawaiian punch have their roots in Fullerton. Today Fullerton is mostly developed and is somewhat divided between the more affluent areas and the poorer southern portion bordering Anaheim. 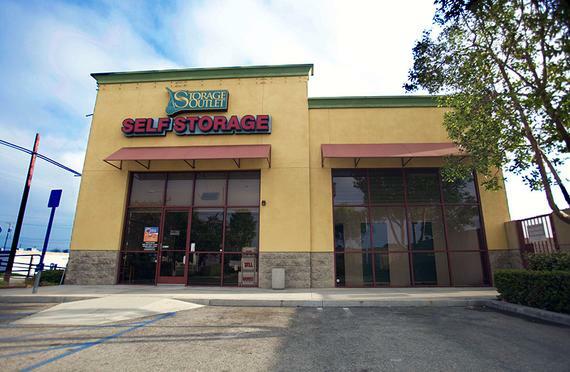 This financial divide leads to diversified Fullerton self storage needs. What’s in Fullerton Storage Units? Affluent families may use self storage as a way to de-clutter their homes or to retain family heirlooms they want to hold onto but don’t have the space to store at home. Fullerton also boasts equestrian trails and an equestrian center at Laguna Lake Park, so wealthy families may also have saddles or riding clothes to store. Families that are less well-off may use self storage out of necessity. Perhaps there are many people living in a small crowded apartment, and storing seasonal items such as summer or winter clothing, sports equipment, and holiday décor is a must. Unfortunately, roughly 10% of families in Fullerton are below the poverty line. You would imagine that such families could not afford self storage, but depending on the circumstances, a Fullerton self storage deal may still make sense. Renting a cheap 5x10 you can pack to the gills is cheaper than getting an apartment with an extra bedroom - and who wants to live in an apartment where the guest room looking like a storage shed? Beyond personal storage, businesses (both small and large) also use affordable Fullerton self storage. For instance, the iconic cake company Little Debbie, stores in our Fullerton storage facility. And moving companies like Moving Stars rent RV and boat spaces with us as well for their moving trucks. Fullerton self storage is unique in another aspect as well. Storage Outlet’s Fullerton storage facility was the filming location for a comedy series about two girls living in a storage unit. Their dating escapades, near-death experiences, and their storage unit décor are sure to have you laughing out loud. 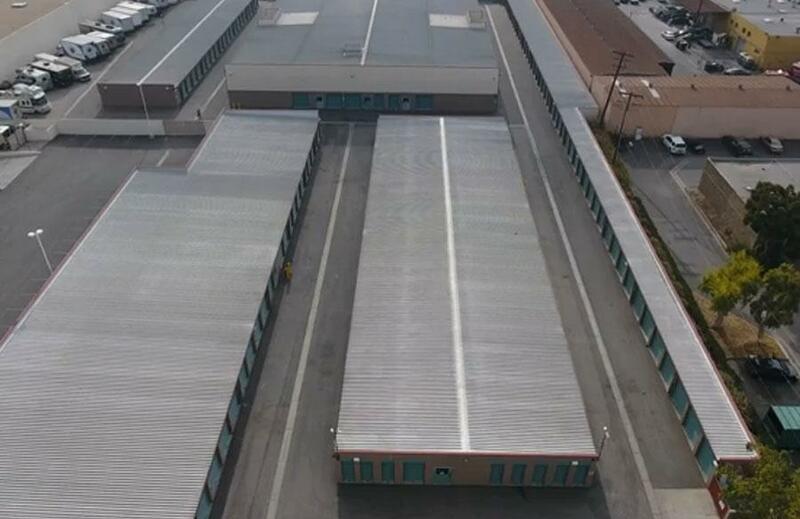 As if that wasn’t impressive enough, our Fullerton storage facility was also on Storage Wars. There were a few interesting storage units that went to auction, but the most notable element was the tension between Dave Hester and the rest of the Storage Wars bidders. Luckily, everyone put their differences aside to promote the self storage industry’s first national charity – Charity Storage. Charity Storage was actually founded by the same person that built our Fullerton self storage location! 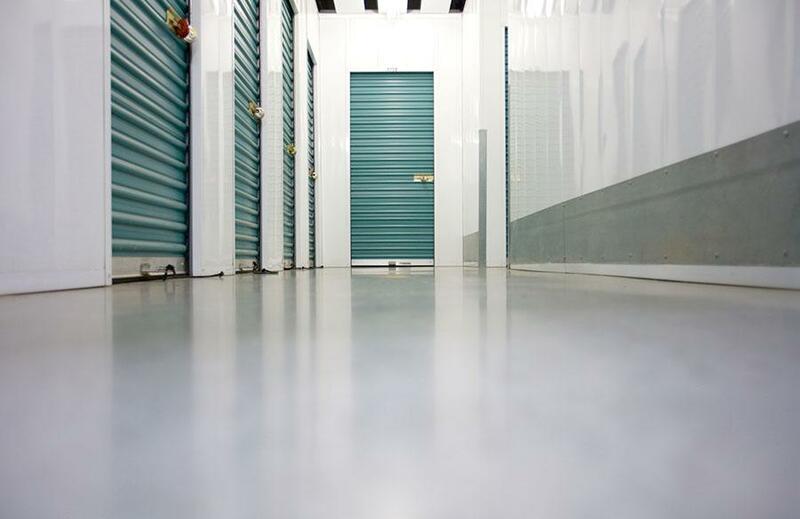 The concept originated after the Storage Wars TV show, and the subsequent storage auction website StorageTreasures.com, made self storage auctions both popular and accessible. Given the newfound interest in bidding on storage units, Charity Storage was founded in order to raise money for national and local charities selected by each participating storage facility. During a Storage Wars filming, a Fullerton storage unit was sold for Charity Storage, although sadly the footage wasn’t included in the aired episode. Our Fullerton self storage facility’s final claim to fame is its debut on a German TV show. Rene and Casey Nezhoda of Storage Wars were filmed at our storage facility. We were present for the filming, but they spoke in German the whole time, so we can’t tell you much more than that. They dug through a storage unit, speaking in German about what various items were worth. We don’t want to boast, but perhaps they chose us because they wanted clean and secure Fullerton self storage facility. They likely didn’t care that we have the best Fullerton storage deals, but again, who are we to boast? We’ll let our reviews speak for themselves! Fullerton does not have a significant military presence, and therefore there is minimal military storage in Fullerton. The military bases closest to Fullerton are the Naval Weapons Station in Seal Beach (a Naval Base) and the Los Angeles Air Force Base in El Segundo. Given the dense traffic and timely commutes of Southern California, it’s unlikely anyone working on those bases would use Fullerton self storage. This is especially true given the numerous storage units within miles of their respective bases. For the LA Air Force Base you could use our Gardena storage facility. [LINK TO STORAGE OUTLET GARDENA] Otherwise we’d recommend US Storage Centers as a clean and affordable storage unit. There aren’t quite as many facilities directly adjacent to the Seal Beach Naval Base. 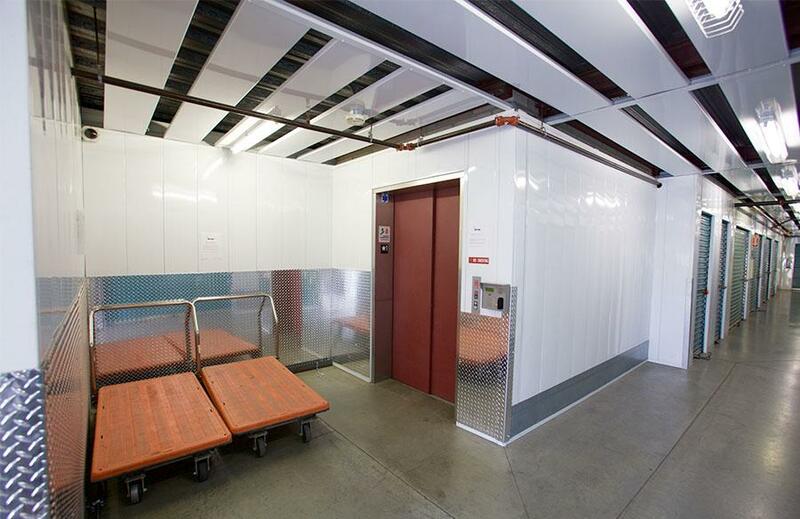 Our Huntington Beach [LINK TO STORAGE OUTLET HUNGTINTON BEACH] storage facility is a secure and affordable storage option. Otherwise there are great options for local self storage, including A-1 Self Storage. Fullerton has two universities: California State University, Fullerton and Fullerton College. The former is also the single largest employer in Fullerton (employing 3,821 people) while the latter is the fifth largest employer (employing 1,094 people). CSUF is the twelfth member of the Cal State system. 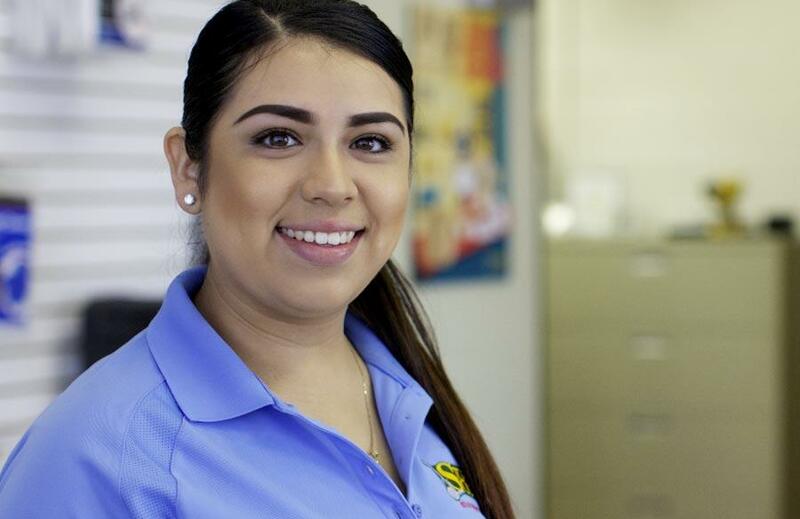 With approximately 40,000 students we know many of them are using student self storage in Fullerton or surrounding areas. There are a handful of Fullerton self storage locations within walking distance of CSUF (not that you would walk with your storage unit contents) and dozens more within a short drive. Given the numerous Fullerton self storage options, savvy students price shop to find the best Fullerton self storage deals (or as cash-strapped students they might just be after cheap self storage). Fullerton College on the other hand is a community college, and thus a two-year school. For the most part, students at Fullerton College are unlikely to need a storage unit, because they are more likely to live at home and commute to school. However, some students move from out of state and attend a community college before transferring to a four-year university once they establish their residency requirement for in-state tuition. These students that crossed state lines are likely to need self storage, unless they are minimalists and mom and dad let them leave most of their belongings behind. And we know these students are going to be after discounted Fullerton storage because they’re going to great lengths to save money on college tuition! They most certainly want affordable Fullerton self storage. If you are a student using self storage, then you might want some tips to dominate your storage experience just like you dominated that game of flag football the other day. For instance, what about packing tips? You probably want to wrap everything before you put them in boxes. Then there’s labeling boxes. There’s more to labeling your self storage boxes than you would think. Not only should you indicate the contents and whether something is fragile, you should also mark packing boxes with “this end up” to ensure boxes aren’t stored upside down or sideways. There are more than 50 parks in Fullerton, but we don’t think you’ll be RVing to any of them or dropping your jet boat in Laguna Lake. If you live in Fullerton, you’ll likely hit up nearby Arrowhead or Lake Havasu when gas is expensive, so a Fullerton RV and boat storage facility in your own backyard makes the most sense. When gas is cheap (or if you’re just the adventurous type) you may be heading to Northern California, out of state, or even Mexico. You’ll likely still rent RV or boat storage in Fullerton, but if you like to think outside of the box, then consider cities that are along the way to your favorite destinations. Outlying areas often have cheap RV and boat storage, and there’s no extra hassle if you’re going that way regardless. Plus, you’ll save gas money if you’re driving your car for a portion of the way rather than a gas guzzling RV or a trailer and boat. Fullerton has a diverse population primarily consisting of Whites, Asians, and Hispanics. Self storage in Fullerton roughly follows these same demographics. Fullerton is a family-oriented city, so most storage units are filled with general household items like refrigerators, couches, childhood items, and holiday decorations. Fullerton is an ideal location for RV storage given Fullerton’s close proximity to the beach, the mountains and lakes, and even national parks like the Grand Canyon and Zion. At the most you’re looking at a seven hour drive to magnificent locations and your destination may only be an hour or two away. To save money on RV storage, consider an uncovered RV storage space. If your RV is your baby, then go for an affordable covered RV space, or use an RV cover. Be careful when putting your RV cover on and taking it off, accidents involving RV covers are more common than you would think. RV storage is on the rise in Orange County, but there aren’t as many RV storage facilities as you would think. Also, be aware that while some locations specialize in RV storage, many self storage locations have 10-100 or more RV storage spaces in addition to their self storage units. If you find a self storage facility in Fullerton but aren’t sure if they have RV storage, then just give them a call. At Storage Outlet we have Fullerton RV storage, so we hope you choose to store your RV with us! We can also satisfy your Fullerton boat storage needs! In case it isn’t obvious, the same spaces are used for RV and boat storage, in addition to trucks, limos, oversized vehicles, and trailers. What’s convenient is that you can leave a vehicle parked in your boat storage space while you are off having fun. If a friend is meeting you at your boat storage facility, you can haul the boat with your pick-up truck and they can leave their car in your storage space. Voile! Your Fullerton RV storage space also doubles as vehicle storage. To protect your boat, be sure to clean it prior to bringing it to your boat storage facility. The American Boating Association has some helpful boat cleaning tips. There’s more to consider than you would think before you leave your boat in boat storage. For starters, there are different cleaning techniques for metal, teak, and vinyl components of your boat. A boat cover is always a good idea when leaving your boat in storage. Also be sure to think about your Fullerton boat storage facility’s security measures when storing your boat. How safe is your boat storage facility? You may want to take your own boat storage security measures as well. Is your boat insured? Check with your insurance provider to ensure your coverage extends to your boat when at your boat storage facility. Are there any exclusions or is the boat covered for theft, collision damage, fires etc.? If your boat storage is commercial (for a boating business) then you may also need loss of use coverage. And if you’re using commercial boat storage be sure to ask for a discount if you’re storing multiple boats!